Are you a business coach who could do with more money coming in and less time spent “in” your business? Or are you wanting to get your clients even better results so you stand out from the other business coaches? If you are, we hear you! A frequent theme we hear from coaches is a need to bring in more business and get better results for their clients…all while balancing not having to work long hours every week to pay the bills and continuing to learn what works for helping someone to grow their business. It’s an interesting paradigm really – most coaches get into their roles because they have a genuine desire to help others and to share their skills, yet in a market which is becoming increasingly crowded, many are finding that “I just want to help people” is not enough to keep a business afloat. Nor are the options of “work more hours” or “charge more money”. Both of these have relatively finite possibilities as an individual can only sustain so many working hours and there will be a ceiling in terms of what the majority of clients are willing to pay. … and the figure worldwide runs into many more thousands. As a coach, you do need to take this into account. You are competing now in a global market. 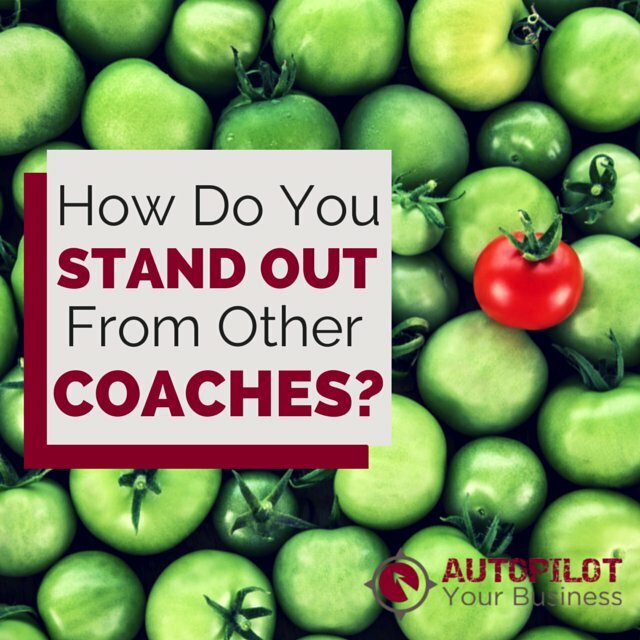 For example, you may offer coaching mostly in the area you live, but given that the vast number of coaches are now taking their sessions online via Skype or Google Hangouts, you are competing with more than just your local area. You need to get your clients more results if you are going to stand out! What can you do? There is after all only one of you! 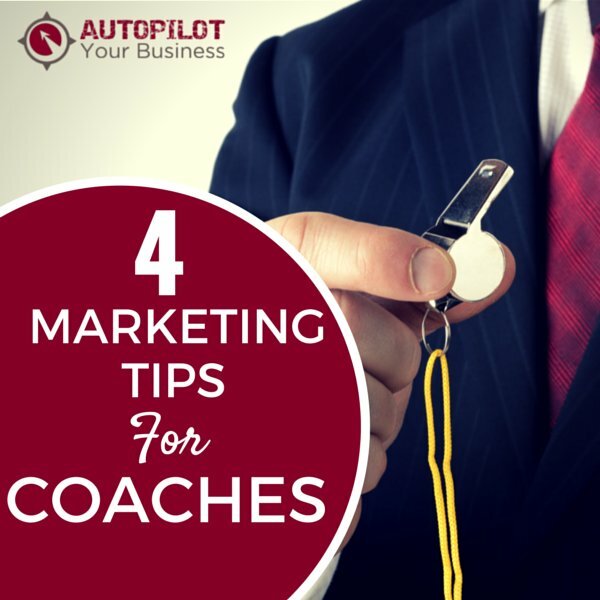 Here are 4 things you can do to help distinguish your business from every other coach out there (or every other small business – these tips will suit you too!). This is really worth spending some time on – remember if it’s not clear in your mind what makes you different to the rest, it won’t be clear to potential clients either! 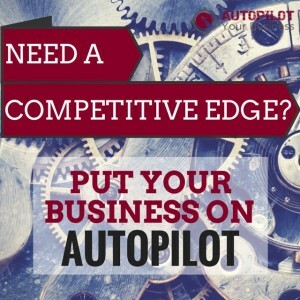 What makes you so unique that people should choose to do business with you over your competitors? Who are the target clients of your business? What characteristics or demographics do they have? What problems do they have that you are going to solve? What are their concerns about hiring a coach? 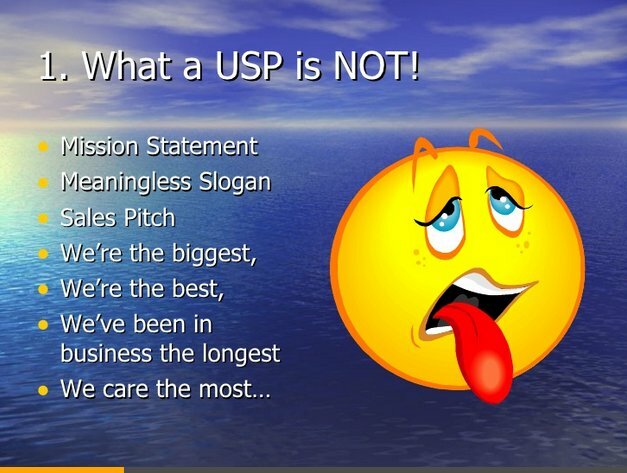 Take the time to map out and understand these traits so that you can address them with your USP. As an example for coaches, are you the only person in your area with a certain certification or background in certain industries? 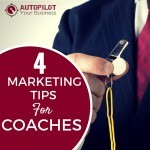 Do you have a thriving community for your clients that other coaches don’t have? Do you have a network your clients also get access to? 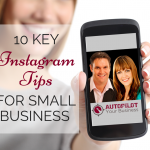 Have you started 10 businesses yourself so you have a unique insight to start-ups? Or do you have certain health problems and can you coach others who are going through them as well? With so many amazing coach training programs out there, anyone can train to be a coach these days. When you find your niche based on your unique background and experience then you can get really clear on who you can help…and who you can not. Your USP must create a real advantage in the eyes of the customer, for example could you guarantee clients would “get 5 job interviews within 30 days or your money back”? Domino’s Pizza has a USP that has particularly grabbed marketers and been memorable to customers: “We deliver fresh, hot pizza to your door in thirty minutes or less, or the pizza’s FREE!” That’s not saying your USP should always offer a guarantee, but it can’t get much more specific than that! Establishing yourself as a thought leader is really about exposure and positioning. The more your target market sees of you in the context of your area of expertise, and the more you are creating trends (rather than following them), the more you will be recognised as a thought leader. 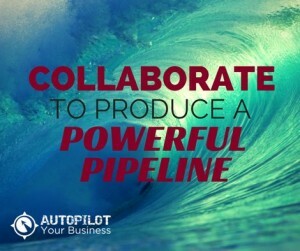 Thought leaders and change makers are great at establishing connections and building relationships with a core inner circle of people with complementary knowledge to their own. After all, have you ever seen leaders who have got to where they are by themselves? Blog posts – are these set to a regular schedule and providing readers with actionable ideas? Emails – do you really have something to say when you send out an email? Make it count with quality takeaways. Also think about why people subscribe in the first place – what are you doing to nurture the relationship so that they want more? Giveaways – are you giving away something of value to subscribers on your website? Guest posting – this is a valuable tool for getting more exposure. 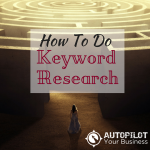 Check out this guide from Kissmetrics for how to find guest posting opportunities. Speaking gigs are a great way to establish yourself as an expert, as well as mingle with members of your community who could prove to be a valuable part of your network. Local chambers of commerce, service clubs or colleges are a great place to start in order to build up your speaking chops. 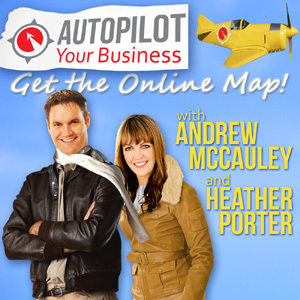 If you need further inspiration for where to look, check out this article from Famous in Your Field on ways to find speaking opportunities or get the free audio book “The Online Treasure Map for Motivational Speakers” from AutoPilot Co-Founders Heather Porter and Andrew McCauley (who both have years of experience working in the speaking industry). Social media is not just there to promote your website, but more importantly to share how you handle certain situations and specific things you have learned along the way within your area of expertise. 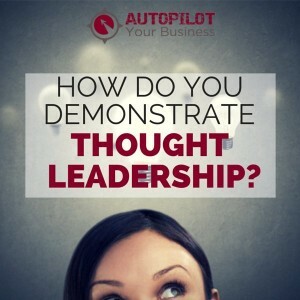 Establish thought leadership by thinking of yourself as a resource for others. Share relevant content – do this on your own accounts and in groups where your target market would hang out. Be generous and make sure you share quality content that has come from others too. Establish (or join) conversations – this is especially good to do in LinkedIn groups, Facebook groups or Google Plus communities. Figure out what it is that people are looking for and add to the discussion with your thoughts. Important – the key is to participate regularly. You will have little impact (or memorability) if you only come in once every month. We suggest that you aim to contribute something of value at least once or twice each week. Make sure you get alerts sent to your email and even set rules for them to go into an email folder so you can set aside time to read them and engage. 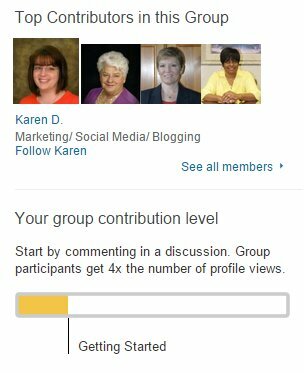 Try aiming to be one of those “top contributors” you see on the right hand side of LinkedIn groups! People don’t line up for the latest Apple device because it’s the best on the market, they love Apple because they resonate with the story and culture that goes with it…and they spend more for their products that do the same thing as their lesser priced counterparts. Your story is how people will identify with you, rather than any branding messages you put out. Inject personality and personal touches into your message wherever you can – people actually do like personal anecdotes! Great speakers and leaders craft and perfect a few stories they use over and over. Need more ideas of how to create your own stories? Check out our podcast on telling your story. Affiliates – have you thought about having your own affiliate program? Pay a “finder’s fee” to affiliates who advertise for you and successfully bring in clients. Or in turn you could promote someone else’s products or services and get a commission. Strategic alliances – a relationship developed between two or more complementary operators, such as between a business coach and a provider of business website solutions or online marketing (we have been helping business coaches like that for years). Sometimes there is an agreement for commission and sometimes it is simply a goodwill alliance. Be very specific and clear about what all parties are putting in. Have trial period and exit clauses. Make sure you are mutually attracted to each other in terms of business opportunity. A good match personality and standards-wise is essential. You are tying your reputations together! Open communication is a must. That means you should feel comfortable discussing both benefits and fears with each other. What is the main product you are selling? Many coaches are selling relatively expensive 1:1 coaching and finding that they struggle to get enough clients who can afford to pay. Alternatively, others offer 1:1 coaching at more moderate prices, but find they aren’t making enough money and simply don’t have any more time to give for additional clients. 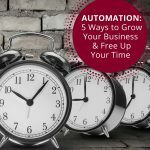 This is coupled with the fact that you need to be able to compete in a world where so much information can be found for free on the internet, so what can you do to scale and make more money without having to be working 24/7? 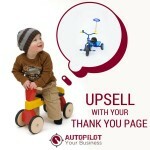 Our suggestion is that you develop an effective sales funnel on your website. This means taking the customer on a journey with you, from opting in to your free giveaway, to (hopefully!) purchasing your products. The idea is that you build a relationship with them over time through email and other communications and you don’t offer 1:1 coaching as the first option. 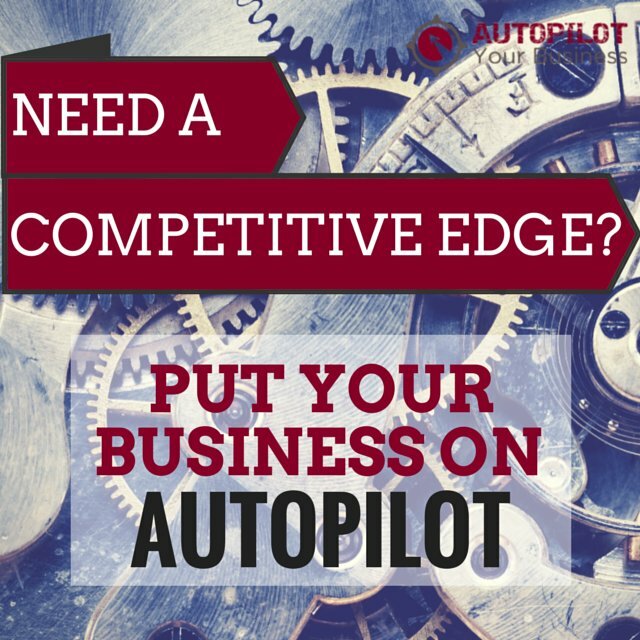 You offer products which take less of your time and are more easily scaled across multiple clients, such as online group coaching or membership programs. Here is how that might look in terms of your product: Your sales funnel doesn’t need to have as many steps as this example, the point is that you offer products which allow you to have more clients but take up less of your time. 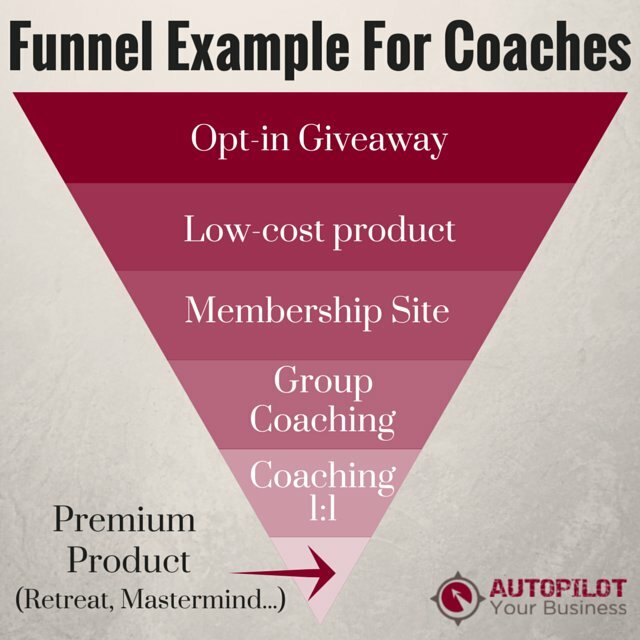 The products near the beginning of the funnel are also much lower barrier to entry so can cater to clients who can’t afford 1:1 coaching (yet). If you’d like to know more about creating an opt-in that your target audience will really want, check out our article on how to create an opt-in offer. 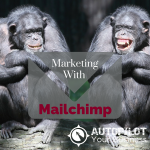 Step 1 – You sign up for an email service provider such as Mailchimp. Step 2 – You create email opt-in forms using code from your email provider and install on your website. Step 3 – Set up a series of autoresponder emails that people who sign up will receive to give them ongoing value and get them back to your website to see more content that also links to your offerings. 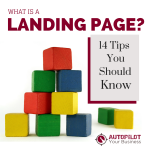 Step 4 – You create a landing page on your site or using software such as Leadpages. 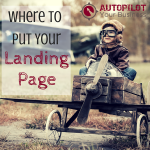 Step 5 – Promote your landing page. If you have to physically be available in order to process a sale then you need this part of your business systematized! The idea is that all of the working parts of your sales funnel should be able to operate without you being present or even awake. Paypal, Stripe or Braintree integrate with most systems online and allow you to send and receive payments. They are relatively easy to set up and integrate easily with websites and online membership programs. We recommend these options if you are starting out and have lower-volume sales as the fees for individual transactions are more than some others. You can use something like PayPal Here to accept credit cards easily too. Intuit, eWay or Authorize.net are payment gateways that will also allow you to have a merchant account (accept credit card payments) if your application is accepted. An advantage of this one is that it integrates with QuickBooks or other accounting software seamlessly and they charge you less per transaction. We recommend these once you have history of taking payments with the others to compare what you might save as you start taking more transactions. Woocommerce – this is one of our favourite tools for selling from WordPress websites. The Woocommerce plugin allows you to set up and sell almost anything, while it also has a bunch of possible integrations such as with sales gateways, invoicing, shipping and accounting. It is great if you are selling multiple products online and need a shopping cart. If you are only selling your signature coaching program then Paypal or Stripe is all you need. 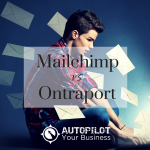 All of these platforms then integrate with your email program like MailChimp so you can automatically send emails to your new clients and also get alerted when a new sale comes in. 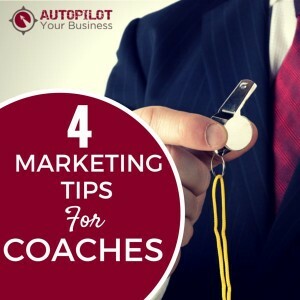 We have just touched on four different marketing aspects that will either help you to stand out from every other coach so you drive more business, or help you to systematize so you can spend less time “in” your business and more time doing the important things you probably advise your clients to do! There is no silver bullet for the perfect coaching business, but if you work on these areas over time, you should see a difference.